LANSDOWNE, Va. – The Jack Kent Cooke Foundation today published a report summarizing its first 16 years of operation. The report details how the foundation has provided over $152 million in scholarship assistance to nearly 2,200 high-achieving students from low-income families and over $90 million in grants to organizations that serve such students. 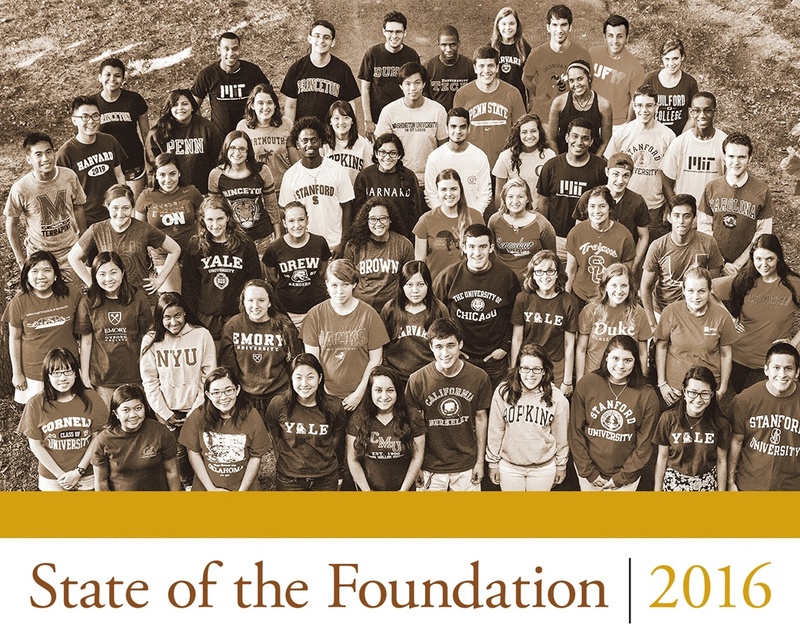 The report is titled “State of the Foundation: Opening Doors to Equal Educational Opportunity for Outstanding Low-Income Students.” It tells the story of the foundation from its creation with a bequest from Washington Redskins owner Jack Kent Cooke, who died in 1997. It also includes short profiles of 15 Cooke Scholars, looking at obstacles they have overcome and their many achievements. The online version of the report has many links to additional information, including all of the foundation’s groundbreaking research reports and compelling videos of Cooke Scholars. Cooke Scholarships are awarded to outstanding low-income students entering high school, entering college as freshmen, transferring to four-year colleges from community colleges, and entering graduate school. Graduate students must already be Cooke Scholars. The scholarships are awarded without respect to religion, sexual orientation, gender identity, citizenship status, geographic region, race or ethnicity. Applications are currently being accepted for the Cooke College Scholarship Program(deadline Nov. 30) and Cooke Undergraduate Transfer Scholarship(deadline Oct. 25) for the 2017-18 school year. The situation is even worse at America’s top colleges and universities. A Cooke Foundation study earlier this year found that a mere 3 percent of students at the most selective colleges come from the 25 percent of families with the lowest incomes. In sharp contrast, 72 percent of students at the top schools come from the wealthiest 25 percent of the U.S. population.